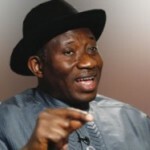 A coalition of socio-political groups in the South-East has asked President Goodluck Jonathan to fulfill the promises he made to the Igbo or risk losing their support in the forthcoming presidential election.The coalition, which made the demand after a meeting in Enugu, said the President had not shown adequate appreciation for the massive votes he received in the South-East in 2011.The associations that formed the coalition are Igbo Traders Congress, Igbo Women Assembly, Umuada Ala Igbo, Igbo Students Association, Igbo Youth Movement, South-East Self Determination Coalition and Eastern Christian Council. The National President of the Igbo Women Assembly and a member of Igbo Leaders of Thought, Mrs. Maria Okwor, noted that the Igbo were not happy with the way they were being treated by the Federal Government.According to her, the Igbo had not been rewarded for the bloc of votes given to Jonathan in 2011.Okwor said the Igbo expected a lot from the President but he had yet to meet the high expectations.She said, “We are not happy that we are being taken for granted and we will like him (Jonathan) to make concrete promises to us and start something, not just promises. “Right now, we are considering so many options because we want the people who will recognise our existence and who will solve our problems – we are not recognised.”The women leader urged Jonathan to start redeeming outstanding promises that he made to the Igbo, before the forthcoming elections.“The East/West rail line they promised to build for us, will it happen? “When will it happen? Can it be started before this tenure ends so that we can have something to hope for?“Otherwise, we might have some alternatives because there are other parties that can help us achieve our objectives,” she said.